Includes brass top post dual use terminals. 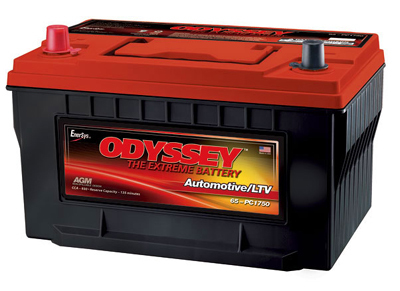 This battery is available in the two post configurations shown in the pictures below. Hold the mouse over each picture to see the model number that belongs to each terminal configuration. The 1750-65 has a reverse terminal configuration from the PC1700. 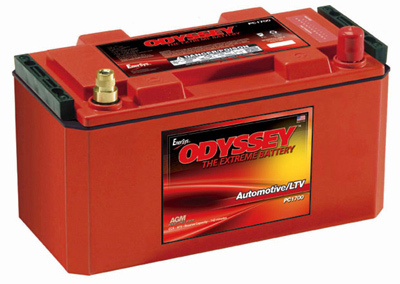 The 1700 battery has a 3 year full replacement warranty and the 1750 battery is a 4 year full replacement warranty. Dimensions: Length 13.02" Width 6.62" Height 6.93"